Smartphones are becoming a mainstream communication tool in healthcare settings. Prior studies call for the use of smartphones to enhance clinical communications. However practicality of use is crucial for smartphones in order to be beneficial in clinical settings. So far, the applicability of smartphone for routine clinical communication has not been studied. This descriptive study aims to investigate the applicability of clinical smartphones for routine clinical communications. In this paper, we report on a survey study handed out to providers with a year of experience of using a clinical smartphone. The survey measured providers’ perceptions of using smartphone for daily communications. Approximately 98,000 patients die annually in the US due to medical errors, the majority of which are caused by ineffective communication [1-6]. Ineffective communication costs hospitals across the US $11 billion annually, according to the Ponemon Institute . Safe and effective patient care demand interdisciplinary collaboration and communication among healthcare providers . Communication dependent activities such as coordination of care, transitions across the hospital, follow up after discharge, impact the quality of care. The existing variation in communication means through healthcare environment is a patient safety issue. Communication in hospitals can be synchronous, such as face to face communication and phone conversations or asynchronous such as email and phone messages . Face to face communication is considered as the most favourable mode of communication in healthcare because of the ability to transfer large amounts of information compared to the other communication modes [10,11]. When face to face interaction is not possible, communication is facilitated through devices. Hospitals and clinics use different type of devices for communication . An appropriate device for establishing clinical communication should transfer information, swiftly, accurately, effectively and efficiently. Pagers has been the primary communication devices in healthcare for a long time. Pager technology does not commensurate with current health care communication needs . Therefore pagers add to the cost to hospitals because of ineffective communication [13,14]. Pagers cannot transfer the urgency of a situation through a text, and may cause underestimation of the situation . Also, pagers do not support synchronous vocal communication, even if they support two-way paging. When a provider receives a page, she should look for an available phone to call and talk with the sender. Decreased security, call setup delays, interruptions from unimportant pages in emergency situations and the need to document communication are other limitations of pagers [11,16]. However, pagers have significant advantages to other alternatives such as high battery life, network power and data storage requirements . Pagers network proved its reliability of message transmission. The strength of signal enables paging wherever in the network coverage area. The pagers simple interface and simplicity of set up made them a dominant communication device in health care for decades. Smartphones are considered as the best alternative to replace pagers . Smartphones are ubiquitous, being 75.8 percent of all mobile phones used in the US . Smartphones have found a new application in healthcare because of their market acceptance and their familiar interface which helps in facilitating the adoption. Studies describe smartphones as efficient devices for transferring clinical communications [20,21]. These smartphone capabilities provide great promise as a future clinical communication device Provider to a provider, provider to team and team to team communication are supported through smartphones regardless of geo-spatial constraints . Providers using smartphones can prioritise communications and can be assured delivery of messages. Smartphones give providers the flexibility of making a synchronous direct call or engaging in asynchronous communication, depending on the urgency of the patient situation. Additionally, smartphones can be effective devices in educating residents managing information and workflow . Smartphone handsets benefit from the enormous computation power that enables operation of various healthcare software on devices and allow devices to support routine medical applications such as Electronic Medical Records . Adoption of Smartphones in clinics has raised some concerns as well. Smartphones can cause cognitive distraction by shifting and funnelling of attention [25,26]. Receiving calls and messages while performing clinical tasks on smartphones can distract providers and interrupt their activities [2,27-30]. Distraction and interruption are potential threats to patient safety alongside Smartphones can store bacteria and can increase the risk of cross contamination [31,32]. There is only limited research examining the level of adoption and satisfaction of smartphones among providers, with none focused on the usability of the handsets in health care. We do not yet clearly understand the effectiveness of smartphones for routine clinical communication, and the patterns of current smartphone usage in healthcare environments. The objectives of this study are to understand the level of acceptance of smartphones as communication devices among care providers and to identify effectiveness and efficiency of smartphones in routine clinical scenarios. In this paper, we report on a survey study investigating clinicians’ perceptions of clinical smartphones. Understanding clinicians’ perceptions can help designers to design more usable devices . The study was conducted in a major academic hospital in the Midwest and was approved by an Institutional Review Board (IRB). The hospital has been using smartphone for patient care communication since 2013. Clinicians in this hospital comprise nurses, physicians, unit clerks and physical therapists, with all using alphanumerical pagers and smartphone based devices to communicate. The survey collected data from staff working general medicine unit. Survey was distributed both online and printed in-person. A survey was administered by both online (through Qualtrics™) and paper modes. A total of 164 participants, including nurses, physicians, nursing assistants, resident physicians, pharmacists, social workers, and unit clerks participated in the survey. 130 of online surveys were collected and 34 of paper-based surveys out of forty distributed surveys were returned. Survey questions participants’ experiences with smartphone devices include usability and efficiency of communication through the hand device. Frequency, Kruskal-Wallis H test and Cross-tabulation analysis are used to understand the extent of smartphone use, and significant factors influence employing smartphone use in healthcare. Participants were asked about the ease of use of clinical smartphones. 138 of 164 participants responded to the question. 85% of participants report that smartphones are easy to use for routine clinical communication. Participants believe that the usefulness of the hand devices increases with use. 53% of participants do not perceive pre-training is needed for using smartphones (Table 1). However, data indicates the need for pre-training increases with the increase of years in practice. The correlation between years of experience and the need for pre-training is positive, but not significant (r=0.343). Response to this question is not normally distributed and the Kruskal-Wallis test is applicable. From Kruskal-Wallis test it is revealed that there is significantly difference between different professions. To understand where the difference is coming from, the Mann– Whitney test is used. The result shows significant difference between nurses and Physicians. Therefore, nurses notably believe using clinical smartphones require pretraining whilst physicians think otherwise. Table 1: The use of the Smartphone required pre-training. Participants have a mixed opinion about the regularity of the hand devices, mistakes and failures happening during practice. 36% of the participants reported mistakes and failures are not a common occurrence, while 33% think otherwise (Table 2). Kruskal-Wallis test shows no significant difference among professions on their opinion about the devices mistakes. Table 2: Device mistakes/failures were common. Providers primarily agree that use of smartphones in healthcare enhances the quality of care and communications. Participants believe that smartphones use warrants better coordination and prompt patient care. Additionally, Providers perceive efficiency and effectiveness of communication has improved by switching to smartphones. Patient safety is strengthened by employing smartphones in healthcare according to surveyees. Medical applications installed on providers’ smartphones were found useful by 75% of the participants (Table 3). Table 3: Applications on the Smartphone would be beneficial. The objective of the present study is to understand how successful smartphones are for interdisciplinary communication in healthcare settings. Findings from the survey show that using smartphones for clinical communications satisfies clinicians. Smartphones are perceived as effective devices for multimodal clinician communication. Replacing clinical communication devices with has positive impacts on the patient safety and the quality of patient care as it is shown in the study. With respect to the devices inbuilt potential for integration with healthcare information technologies and for continuous improvements, smartphones are powerful, portable devices for satisfying current and future needs of practitioners . Multimodal communication facilitated through smartphones connections, transfers speech and image at the same time and enhances information recall . Text messaging through the smartphones enhances the speed of message interactions and decreases the need for person to person contacts . Whilst the possibilities offered by smartphones for healthcare are promising, it is important to be wary of possible pitfalls. Employing smartphones as a communication device in healthcare settings might have some potential risk. During this study some complaints have been recorded over the device notification. Complaints were mainly about missing a notification due to hardware or software failures. Also, there is a potential risk of alarm fatigue, for clinical smartphones users in hospitals’ highly frequent alarm environment . Information overload is another potential risk of employing smartphones. Smartphones increase the volume of available information to health care providers, this changing in the nature of their profession might engender information overload . An unintended restart, a crash, Wi-Fi connectivity issues, a frozen screen and any other problems impede communication and decrease reliability. Reliability of smartphones used in a hospital environment is a matter of safety. A significant number of participants in this study believe technological failures and mistakes are common. Furthermore, smart phones like olden mobile phone emit radio frequency energy. The emitted radio wave may interfere with medical devices’ functions . The possibility of the potential interference should be studied and scrutinised. Over relying on text messages in hospitals would change the perception of the communication and responding pace expectancy, would increase the risk of misunderstanding and misinformation during a message interpretation. Additionally, over relying on text message would lead to omission of the valued face to face communications [40,41]. During our survey some of the practitioners shared their concerns over patient misperception of using smartphones by providers. Patients might perceive providers employ their personal devices for their personal communications while working as the devices look like ordinary mobile phones. A similar concern was investigated by Hsieh et al. . Also, in the absence of a proper medical auto-correct dictionary for smartphone keyboards, the chance of misspelling, miscommunication and the length of typing text messages compared to personal devices are increasing. Communication is one of the major reasons for medical errors and patient safety issues . Our study shows that clinicians find clinical smartphones valuable for improving healthcare communications quality and enhance patient safety. The result concurs previous study result shows replacing alphanumerical pagers with smartphones help providers to better prioritise tasks and facilities urgent communications with physicians . Smartphones allow safe, straight away and reliable transmission of patient information without waiting for physicians call back therefore they have the potential to prevent some of the typical communication errors . Smartphones can convey comprehensive information and reminders for follow-up on actions, which is an advantage over other concurrent devices such as pagers. Handoffs between providers can be facilitated through exchanging information in smartphones, providing an external representation of the knowledge shared between providers. Based on our results, the majority of participants evaluates smartphones as a successful device for transferring clinical conversations. Respecting to respond, smartphones, thanks to their user friendly interface and their market acceptance are easy to use devices, especially as it requires modest training . However, smartphones would take more time to associate for those providers who may have an extensive experience with other communication devices or prefer a specific communication device for clinical communication. According to the study, Information transfer, effective integration of patient care communication with other patient information systems, and improved knowledge sharing and learning make smartphones an indispensable communication and coordination devices in healthcare. It seems smartphone can be adapted as the main communication conveyer in clinical areas. Currently smartphones use due to security and information bridge risks is confined to the hospital or clinic area. It is expected by facilitating secure connection outside hospitals, communications through smartphones, would become more efficient and effective than before. Khanna RR, Wachter RM, Blum M (2016) Reimagining Electronic Clinical Communication in the Post-Pager, Smartphone Era. Jama 315: 21-22. Wu R, Rossos P, Quan S, Reeves S, Lo V, et al. (2011) An evaluation of the use of smartphones to communicate between clinicians: A mixed-methods study. J Med Internet Res 13: e59. Quan S, Wu R, Morra D, Wong BM, Mraz R, et al. (2008) Demonstrating the BlackBerry as a clinical communication tool: a pilot study conducted through the Centre for Innovation in Complex Care. Healthc Q 11: 94-98. Choudhari P (2014) Study on effectiveness of communication amongst members at department of orthopedics surgery unit 3 using smartphone and mobile WhatsApp. Int Surg J 1: 9-12. Coiera E, Coiera E, Berg M, Lorenzi N, Riley R, et al. (2000) When conversation is better than computation. J Am Med Inform Assoc 7: 277-286. Taran S (2011) An examination of the factors contributing to poor communication outside the physician-patient sphere. Mcgill J Med 13: 86. Ponemon (2014) The Imprivata Report on the Economic Impact of Inefficient Communications in Healthcare. Doran DI, Sidani S, Keatings M, Doidge D (2002) An empirical test of the Nursing Role Effectiveness Model. J Adv Nurs 38: 29-39. 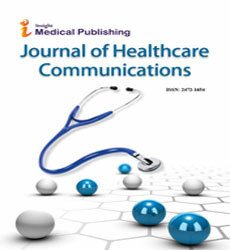 O’Connor C, Friedrich JO, Scales DC, Adhikari NKJ (2009) The Use of Wireless E-Mail to Improve Healthcare Team Communication. J Am Med Informatics Assoc 16: 705-713. Negri B de, Brown LD, Hernández O, Roter D, Rosenbaum J (1997) Improving Interpersonal Communication Between Health Care Providers and Clients Qual Assur 3-59. Coiera E (2006) Communication systems in healthcare. Clin Biochem Rev 27: 89-98. Hilt S, Lin P (2016) Leaking Beeps : Unencrypted Pager Messages in the Healthcare Industry. Trend Micro. McNaught T (2013) Hospital communications and critical messaging. Answerstat Mag 7-9. BASKAS H (2012) Assessing Technology Introduced At 1962 Seattle World’s Fair | Northwest Public Radio. Fargen KM, O’Connor T, Raymond S, Sporrer JM, Friedman WA (2012) An Observational Study of Hospital Paging Practices and Workflow Interruption Among On-Call Junior Neurological Surgery Residents. J Grad Med Educ 4: 467-471. Przybylo JA, Wang A, Loftus P, Evans KH, Chu I, et al. (2014) Smarter hospital communication: Secure smartphone text messaging improves provider satisfaction and perception of efficacy, workflow. J Hosp Med 9: 573-578. Brian Dolan (2011) Why doctors’ pagers still trump smartphones. Retrieved from mobi health news. Travagli F (2012) Smartphone Buying Behavior: The Chasm between Early and Late Adopters. J Sci Strateg Mark Creat. Burdette SD, Herchline TE, Oehler R (2008) Practicing medicine in a technological age: using smartphones in clinical practice. Clin Infect Dis 47: 117-22. Wu RC, Morra D, Quan S, Lai S, Zanjani S, et al. (2010) The use of smartphones for clinical communication on internal medicine wards. J Hosp Med 5: 553-559. Wu R (2013) Rise of the Cyborgs: Residents with Smartphones, iPads, and Androids. J Grad Med Educ 5: 161-162. Perera C (2012) The evolution of E-Health–mobile technology and mHealth. J Mob Technol Med 1: 1-2. Shelton JT, Elliott EM, Eaves SD, Exner AL (2009) The distracting effects of a ringing cell phone: An investigation of the laboratory and the classroom setting. J Environ Psychol 29: 513-521. Ward AF, Duke K, Gneezy A, Bos MW (2017) Brain Drain: The Mere Presence of One’s Own Smartphone Reduces Available Cognitive Capacity. J Assoc Consum Res 2: 140-154. Solvoll T, Scholl J, Hartvigsen G (2013) Physicians interrupted by mobile devices in hospitals: understanding the interaction between devices, roles, and duties. J Med Internet Res 15: e56. Gill PS, Kamath A, Gill TS (2012) Distraction: An assessment of smartphone usage in health care work settings. Risk Manag Healthc Policy 5: 105-114. Robinson T, Cronin T, Ibrahim H, Jinks M, Molitor T, et al. (2013) Smartphone use and acceptability among clinical medical students: A questionnaire-based study. J Med Syst 37: 9936. Kilic IH, Ozaslan M, Karagoz ID, Zer Y, Davutoglu V (2009) The microbial colonisation of mobile phone used by healthcare staffs. Pak J Biol Sci 12: 882-884. Visvanathan A, Gibb AP, Brady RR (2011) Increasing clinical presence of mobile communication technology: avoiding the pitfalls. Telemed J E Heal 17: 656-661. Boulos MNK, Wheeler S, Tavares C, Jones R (2011) How smartphones are changing the face of mobile and participatory healthcare: an overview, with example from eCAALYX. Biomed Eng Online 2011: 10-24. Pimmer C, Mateescu M, Zahn C, Genewein U (2013) Smartphones as multimodal communication devices to facilitate clinical knowledge processes: randomized controlled trial. J Med Internet Res 15: 1-17. Siedner MJ, Haberer JE, Bwana M, Ware NC, Bangsberg DR (2012) High acceptability for cell phone text messages to improve communication of laboratory results with HIV-infected patients in rural Uganda: a cross-sectional survey study. BMC Med Inform Decis Mak 12: 5-6. Wong M, Gonzalez B. First National Survey of Patient-Controlled Analgesia Practices by. Hall A, Walton G (2004) Information overload within the health care system: a literature review. Heal Info Libr J 21: 102-108. Klein A, Djaiani GN (2003) Mobile phones in the hospital--past, present and future. Anaesthesia 58: 353-357. Campbell M (2005) The impact of the mobile phone on young people’s social life Marilyn Campbell School of Learning and Professional Studies Queensland University of Technology Paper presented to the Social Change in the 21st Century Conference Centre for Social Change Re. Soc Change 1-14. Stefan Nicholson (2008) Can We Recognise Misunderstanding and Misinformation When Interpreting The Written Text? Hsieh C, Yun D, Bhatia AC, Hsu JT, Ruiz de Luzuriaga AM (2015) Patient Perception on the Usage of Smartphones for Medical Photography and for Reference in Dermatology. Dermatologic Surg 41: 149-54. Kohn LT, Corrigan JM, Donaldson MS (2000) To Err Is Human : Building a Safer Health System [Internet]. Washington, DC, USA: National Academies Press. Lo V, Wu RC, Morra D, Lee L, Reeves S (2012) The use of smartphones in general and internal medicine units: a boon or a bane to the promotion of interprofessional collaboration? J Interprof Care 26: 276-282.